Only 4 of the ten tracks on this disc are sung by Jagjit (though he has set the music for all ten). Of course it’s still worth buying if only for the songs from Diva bale saari raat. Lyric: Ranjit Rana & Hakim SuffiIf there’s a song by Jagjit that touches you as profoundly within the first 5 seconds, I haven’t heard it. This track is perfect, if only for the tone with which Jagjit begins the song. Lyric: Harpal TiwanaThe range of Chitra’s voice is used to good effect in this song, as usual her Punjabi songs seem to be much finer than the Urdu ghazals. Lori in particular is saturated with emotion. The music in Chitra’s voice can leave one immobile. 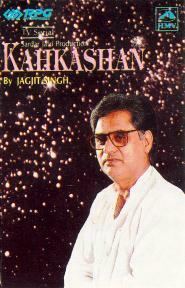 Jagjit has used rather unorthodox musical effects in this one, sounds that are natural more than anything else. There is technical proficiency in the instruments used, but Chitra’s voice overpowers the music. Kisi nun koi pyaar na kare. Apne hoton par sajana chahata hoon. This album has the appropriate title, the ghazals compiled here are among the earliest recordings available, and they are certainly Rare Gems. 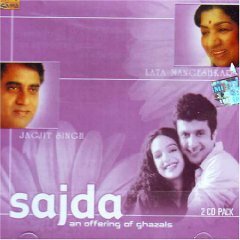 This album is a must buy for any serious Jagjit & Chitra fan. Perhaps the most interesting aspect of the record is the progression in Jagjit’s style that is painfully obvious. The earliest records have Jagjit straining his voice in a lilting classical style and one can see this change in the later records till we finally come across the Jagjit we know so well. The cover of the CD is quite amusing, perhaps second only to the cover on the “Live at Royal Albert Hall” disc. 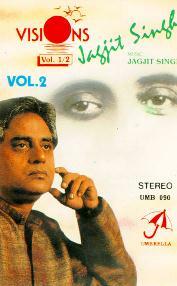 Jagjit looks like a relic out of 70s on the cover. In all seriousness, these 18 ghazals are among the finest by Chitra and Jagjit that you will find anywhere, it’s a must have. This is possibly the most philosophical set of ghazals Jagjit Singh has ever sung. They run the entire gamut, from the clarity of yeh zindagi to the wandering metaphors in garaj baras. Certainly Nida Fazli has outdone himself here, and Jagjit Singh infuses just the right amount of reflection into his voice to balance the apparent agon. Garaj baras pyaasi dharti parThis ghazal has more allusive metaphors than I can enumerate and it never fails to move me to consideration. What I like about Jagjit’s rendering is the movement between a slurring chant and the clarity that enters his words when he encounters something new in the song. This is a trip if there ever was one. 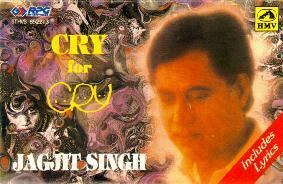 A brief article on the Cry project and Jagjit Singh. The songs in this album are mixed, some of them are typically light-hearted punjabi ditties and there are others that move. They might be difficult to appreciate if you don’t understand Punjabi, but Jagjit’s voice flows in Punjabi in a manner very different from his handling of Urdu/Hindi. Worth it if only for the shift in intonation. Chitra is very god with the punjabi as well, her voice has the sharpness I like in punjabi singers. 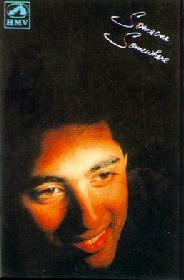 Shiv Batalvi‘s lyrics especially are rendered beautifully by both singers. The music is rustic, and Jagjit has used the complete range of instruments a folk singer would. 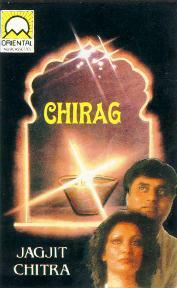 This is my favourite disc by Chitra & Jagjit. Lyric: Shiv BatalviIt isn’t often that a poet asks for the death of his muse. Yet the concept of muse doesn’t port well into this environment, for Shiv it is the consciousness of his sorrow that drives him to write. Lyric: Shiv BatalviIronic beyond comprehension, a song Shiv writes and at the same time denies to anyone else the pleasure of singing. If Shiv were a god, the homage we could pay him would be to listen to his voice or not listen at all. 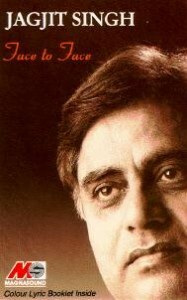 Music: Jagjit SinghPerfect song, evokes the image of a poet on the street corner, perhaps strumming a thumri. The song itself contains the self-reflexivity found in ghazals but here ported into a ‘folkish’ setting. Music: Jagjit SinghChitra is very good in this one, unusual movement through a difficult song, I love completely the manner in which she halts between words and syllables, gives the song a pathos all its own. Music: Jagjit SinghA slower song, and solitary as well. Perfect for a very late evening in Punjab, preferably somewhere the stars are still visible. Must remember next time I’m there. The tone is heavy, yet Jagjit at times almost slurs the words, a different sort of sadness. Music: Jagjit SinghJagjit carries this song on his voice alone, the music is subsumed by the rhythm in his voice. Another reflective song, the unobtrusive nature of the music almost turns it into a wail. Perhaps the most significant sense I get from this (short) poem is a slow realization of lost innocence, yet there is an element of denial and almost a desire for reaffirmation, as one were afraid of making such a judgement alone. 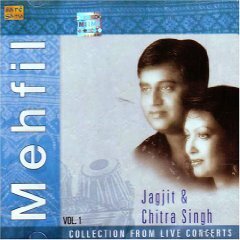 Music: Jagjit SinghA much lighter song, in this case from a live concert. The enthusiasm of the audience would almost convince one this is a wedding and we’re invited. 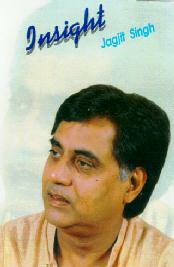 Jagjit is then just the “uncle” who remembers boliyan well.